Eurocom, the world's leading developer of highly personalized, high-performance notebook PCs, continues their global expansion with entry into the German market. As of this month Eurocom Mobile Workstations and Mobile Servers are available in Germany. 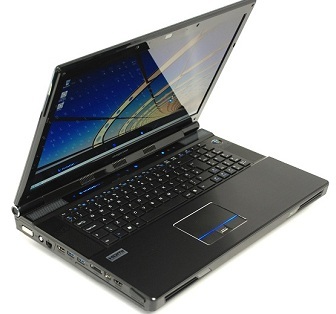 The company will sell their products via local hardware dealers and directly to consumers via their website www.eurocom.com. This strategic step will improve Eurocom's position on the global market as a provider of high-end mobile computing solutions. Founder and CEO of Eurocom Mark Bialic states: "We are very pleased with the opportunity to sell our products on the German market. Germany has enormous potential in the industries we are aiming at so we are forecasting huge turnover in this market. We believe that the capability of our products will win over customers by offering the unique combination of computing power and mobility to German professionals." A six core Intel i7 980X Extreme processor or XEON 5500/5600 series. Up to 3.25 TB of storage provided by 4 physical hard drives in RAID 0/1/5/10. The combination of power and mobility of Eurocom products gives customers the opportunity to capitalize on the trend of increasing mobility of today's workforce. Today's professionals are always on the go. Capable mobile computing hardware that allows them to work in the field will improve their efficiency and the overall profitability of the company. Eurocom products are capable of running professional applications such as CAD/CAM/CAE, 3D animation, 3D simulation, engineering, financial simulations, math, forensic, 3D imaging, mapping and charting, satellite image processing, GIS, or medical software, or graphics work. Eurocom Mobile Workstations give organizations the ability to process feedback from customers, co-developers, final users and other third parties in the field anywhere in the world.